A great design process is used to transform existing information (implicit) towards a preferred solution (explicit) using creative methods and thinking. 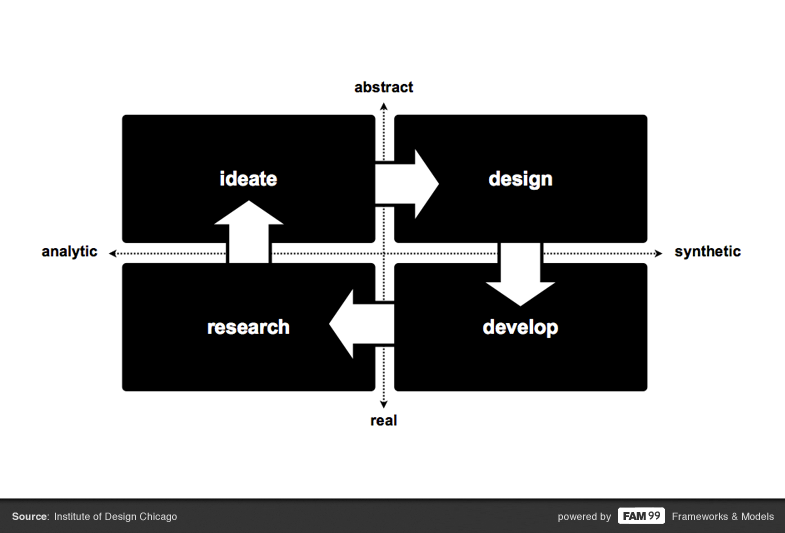 A design process is an agile process. Once a designer successfully completed the four stages: research, ideation, design and development – he will start over again to improve the existing solution until it reaches the state desired perfection.